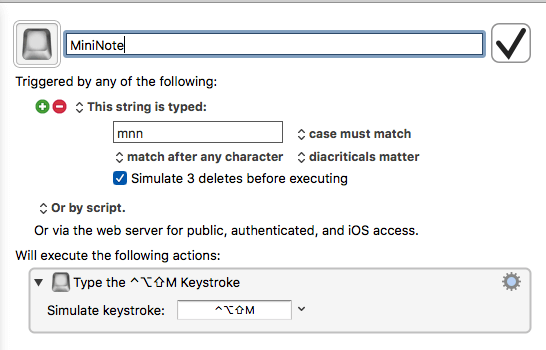 @macautotips do you see any benefit to using string triggers in BTT versus @keyboardmaestro ? This is a great question, and quite easy to answer. But I want to elaborate on it some. When my hand is on the keyboard, I use string triggers to trigger KM macros. String triggers, as I have said before, are easier to remember than using hotkeys, and it also means I don’t have to take my hand off the main keys to locate hotkey combinations. On the other hand, when my hand is on the trackpad, I use a BetterTouchTool finger gesture to trigger an action. This means I don’t have to bring my hand back to the keyboard to press a hotkey; I can trigger an action while my hand is already on the trackpad. 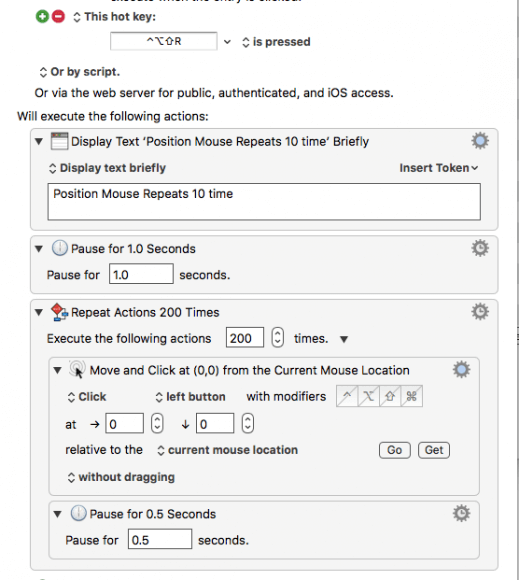 Subscribe to MacAutomationTips to learn more about BetterTouchTool. So in this regard, there’s no competition between Keyboard Maestro and BetterTouchTool. Both applications are similar, but they serve different functions, and they can overlap. I can for example type the string trigger, “nxt” to play in the next song in iTunes, or I can do a Two Finger tap on the menu bar to trigger the next song. These are the ways I set up those triggers, but they can be set up anyway you like. For an introduction to follow the links: Keyboard Maestro and BetterTouchTool. Though Keyboard Maestro is favored by more Mac users than BetterTouchTool, I contend that both should be used by Mac power users. 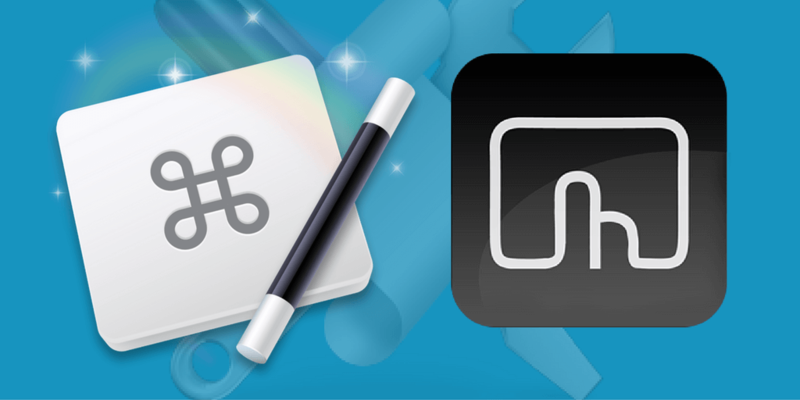 I also contend that for new Mac automators, BetterTouchTool should be learned and used before Keyboard Maestro. Both BTT and KM can trigger many of the same actions. BTT now includes a similar stringer trigger feature, but it’s not as easy to set up or as advanced as Keyboard Maestro. KM also includes a USB Device Key Trigger, which means you could trigger a macro using an assigned USB device. But compared to BTT, KM is limited to only a few finger actions on a trackpad or mouse. After you have used BTT and KM for awhile, you will discover that they both share similar actions, including launching applications, opening assigned files and folders, manipulating windows, and triggering menu items. Between both applications there’s literally over 300 actions that can be triggered. The beauty of using both applications is that you can for example assign a hotkey to a KM macro, and then assign that same hotkey in BTT and trigger it with a finger gesture. Subscribe to MacAutomationTips and get access to a PDF guide, in the Subscriber Only Resource Library, for mapping shortcuts between these and other applications. BTT actions can also be mapped to a KM macro. One the actions that BTT has that KM doesn’t is ability to trigger a menu item in another application while it’s in the background. You can use BTT’s Keyboard feature and assign a hotkey, instead of finger gesture, to trigger an action. 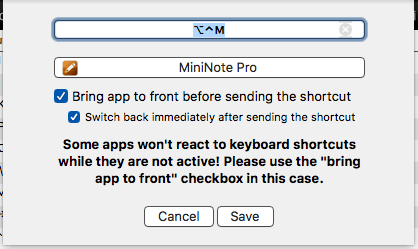 What you see below is a BTT action that triggers the hotkey for MiniNote Pro to open its note window. The assigned BTT hotkey can in turn be mapped to a KM macro, and one of dozens of triggers can used to trigger that hotkey. So for example, while I’m typing in Safari, I can type my assigned KM trigger “mnn” to open my MiniNote Pro window which is located in the Finder menu bar. It will open the window, and it immediately switches back to Safari. Note: this action does work for all applications, but it’s definitely handy to have. KM can also trigger menu items, just as BTT does, but it can’t trigger menu items in background applications. It has to fully switch to the application, trigger the menu item, and then switch back, if the macro is set up that way. Hope that makes sense. 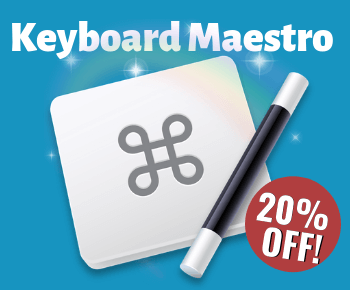 Both Keyboard Maestro and BetterTouchTool are very affordable applications that are mostly user friendly. They do take extra work to set up actions and triggers, but over time you will gain back that prep time the more you use the actions you set up. 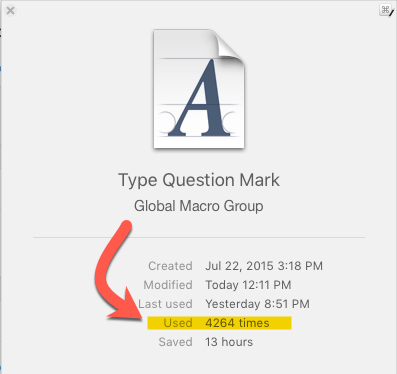 Give an example of a macro that I have treated 4264 times. 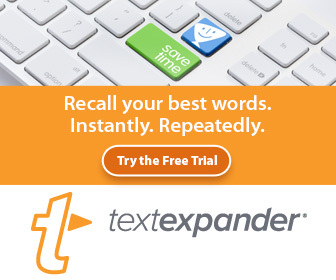 It may or may not have saved me 13 hours of typing, but it definitely increases my typing speed, and I don’t have to look down at the keyboard to locate the question mark key. This KM macro inserts a question mark when I type the assigned string trigger, “uu”. Most of my readers prefer Keyboard Maestro over BetterTouchTool, but I hope this article helps clarify why and how both applications can be useful to Mac power users. Let me know what you think. Your tip s is good to utilization at many works. Appreciate the feedback. Let me know how you’re using Mac automation in your daily workflows. Please tell if there is any update ? An update about what, specifically?